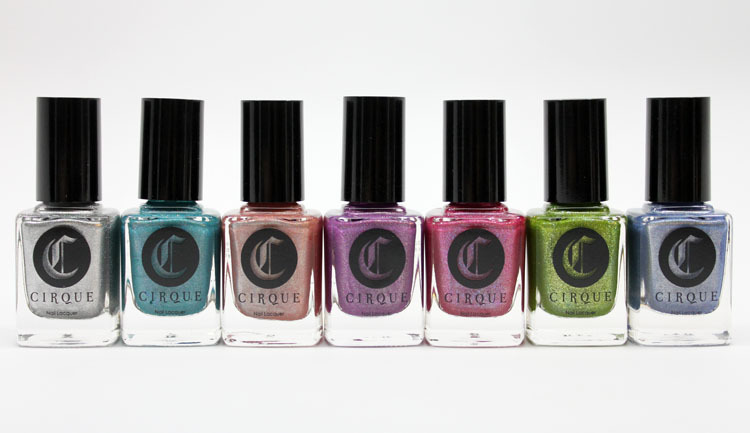 This afternoon I have the brand new Cirque Heritage Collection for you. From the Aztecs to the Inuits, Cirque Colors drew inspiration from the native cultures of the Americas to create a collection called — Heritage. This collection consists of 7 vibrant holographic lacquers that celebrate the richly spirited traditions and arts of these indigenous groups. Sky Woman, a shimmering periwinkle, was inspired by the fabled creation story about the woman who fell from the sky. While the bright pink hue of Powwow embodies the dynamic music and performances honoring their heritage. I love that these colors have a meaning and story behind them. They are all gorgeous shades and have a great formula. Each one covered in two coats with no problems whatsoever. 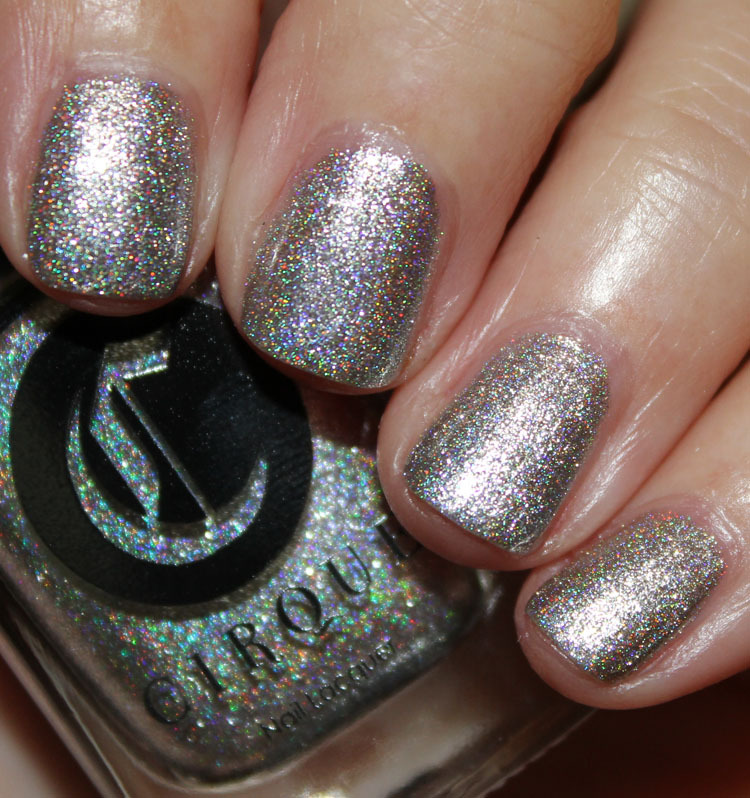 Sani is a silver foil with rainbow holo. This is named after Sani, who is the first known Najavo silversmith. Luminous Owl is a warm coral with rainbow holo. This is an homage to Inuit print-maker, Kenojuak Ashevak. 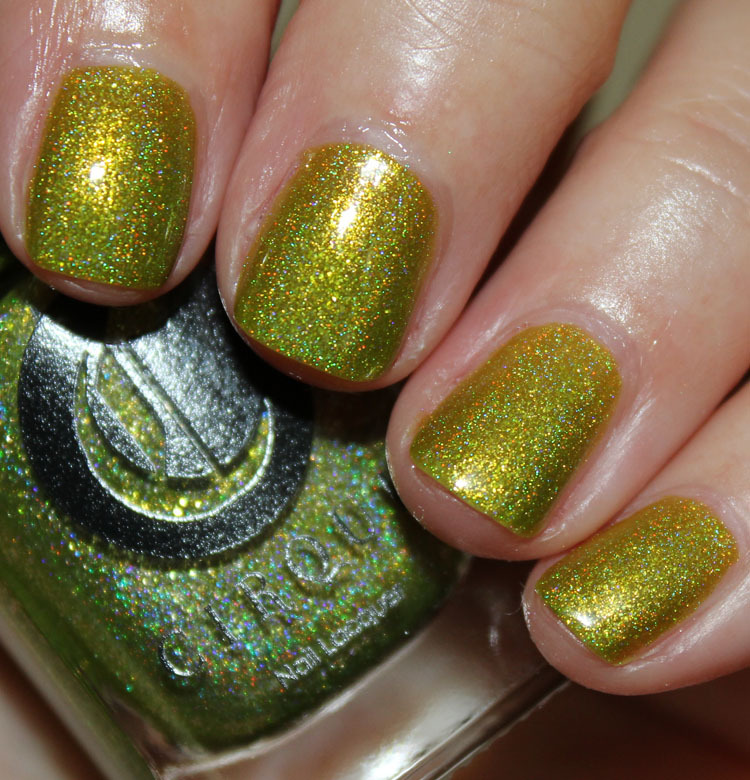 Panacea is a chartreuse green with rainbow holo. So in love with this shade! 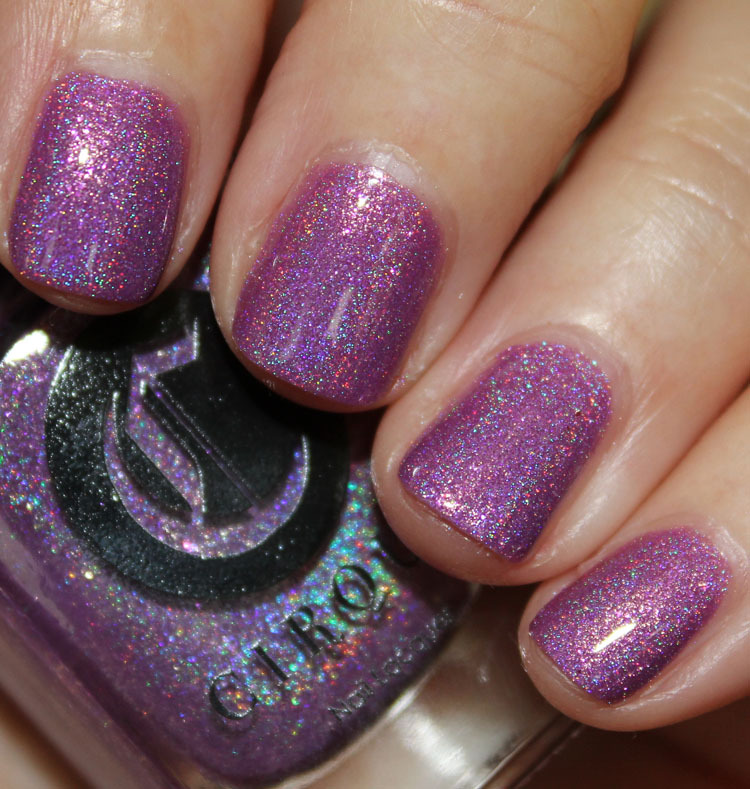 Powwow is a fuchsia pink with rainbow holo. 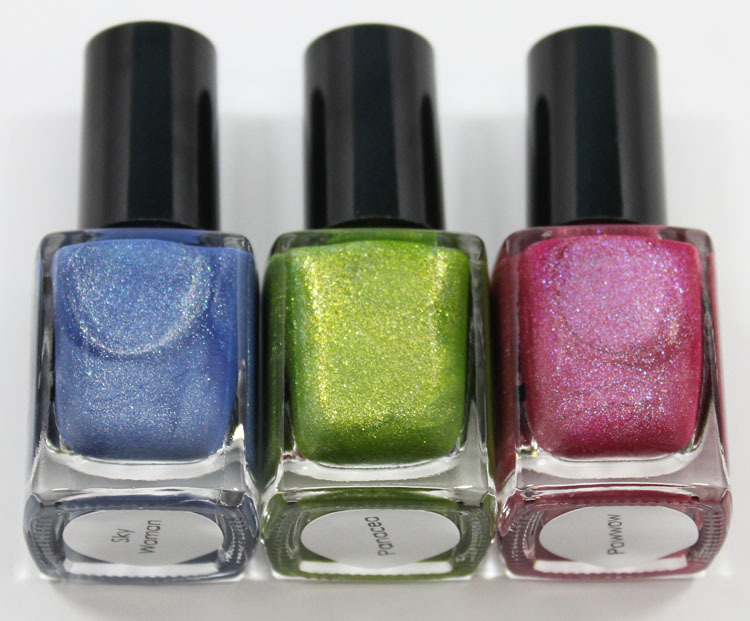 Xochitl is an orchid with rainbow holo. This is named after the Aztec word meaning “flower”. 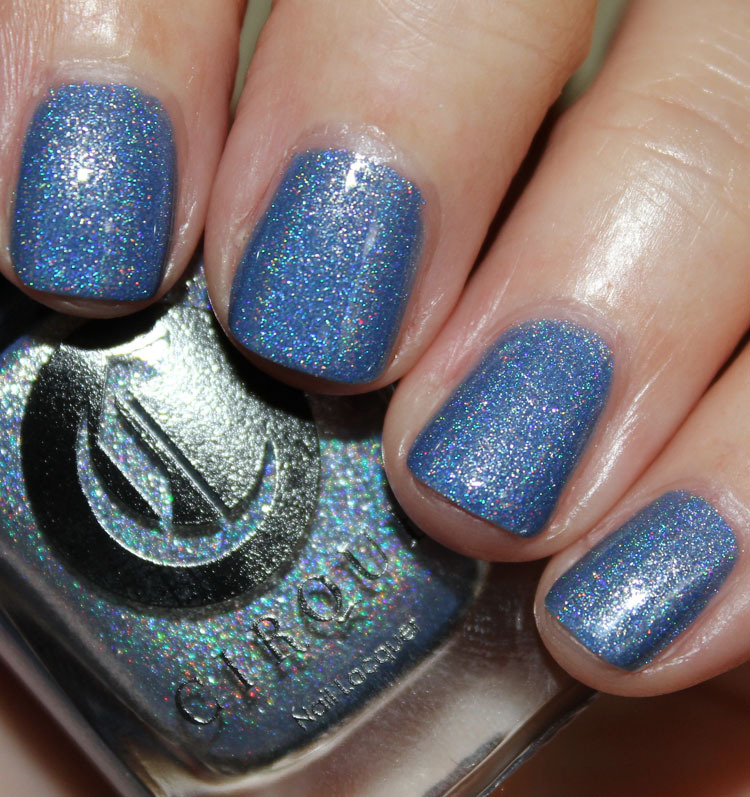 Sky Woman is a periwinkle blue with rainbow holo. 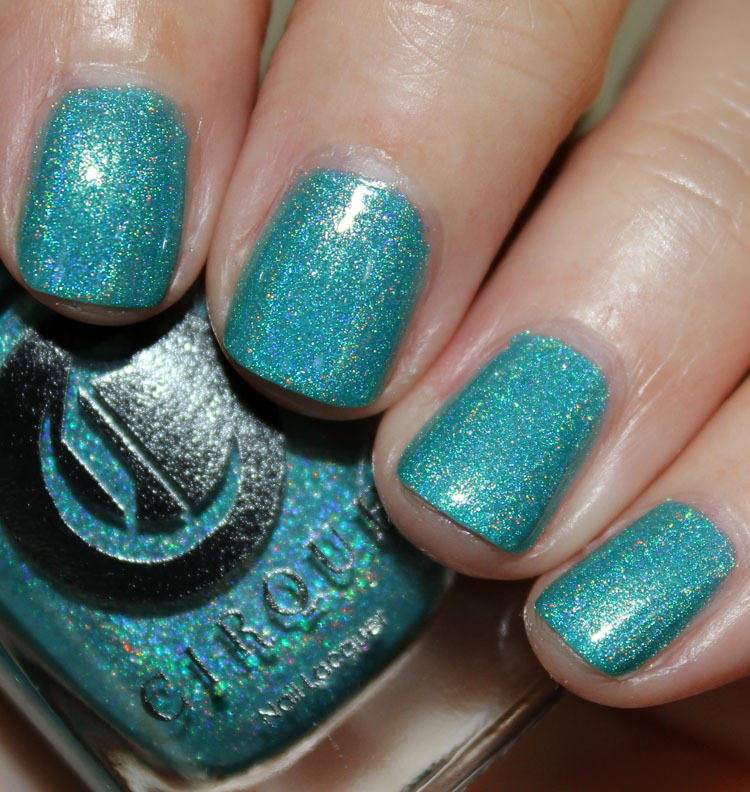 Cerrillos is an intense turquoise with rainbow holo. Another one of my faves, so beautiful. Overall: Another gorgeous collection from Annie. Each one of these has such a nice delicate rainbow holographic effect. They are shimmery, creamy and cover so nicely. 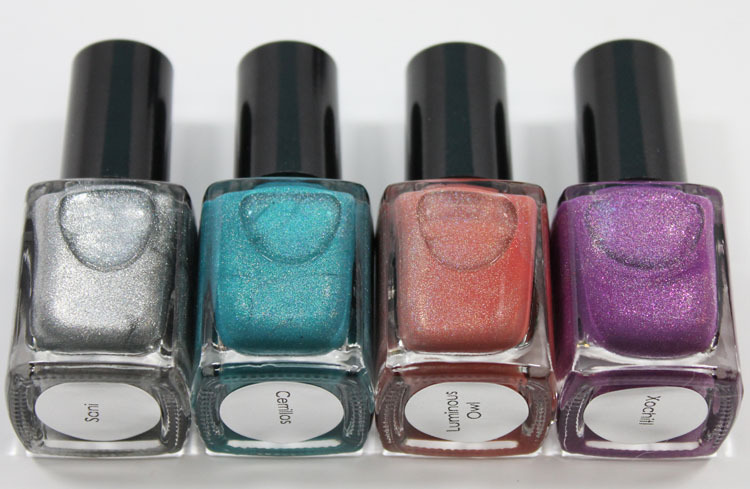 I am especially enamored with shades Cerrillos, Sky Woman, Xotchitl, Panacea and Luminous Owl, but they’re all lovely colors. Availability: Starting April 10th on Cirque and special Stockists. What do you think about Heritage? Which are your faves?